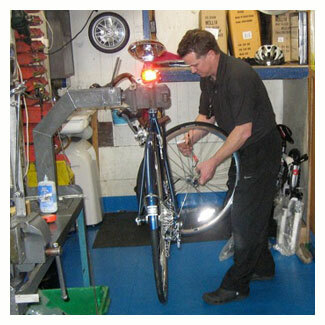 Your bike is only as good as its last service. Bits wear out, come loose, and go out of alignment over time. Your bike will start to creak, rattle and squeak - making it harder to ride and less enjoyable. That's where we come in. Every Twelve Months we will take your bike to bits and rebuild it again; lubricating, and adjusting to the manufacturers specifications until it&apos;s as good as new. More often than not, a full service will take just a couple of hours, and won&apos;t break the bank, but It will totally change your bike and your riding experience.